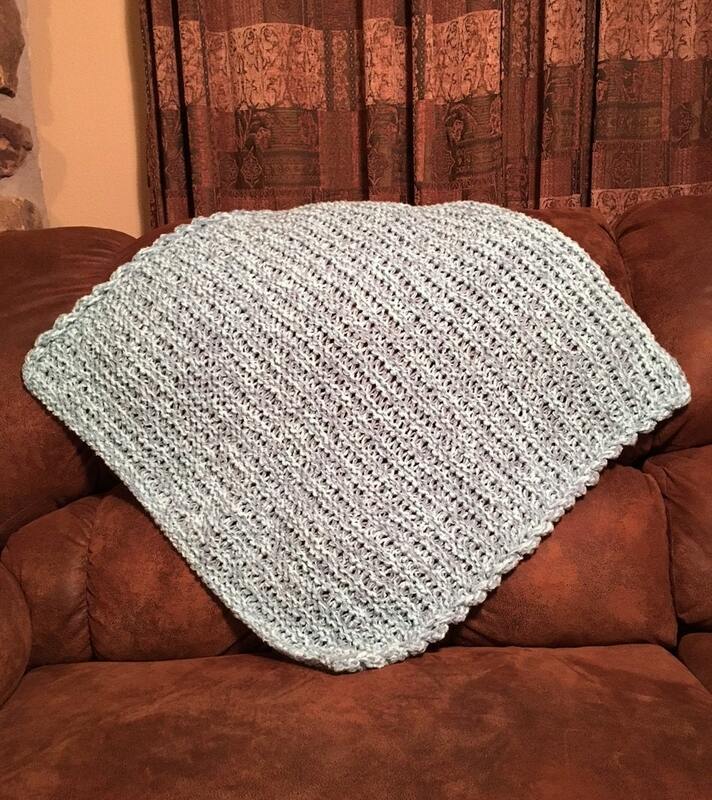 This stroller blanket is a perfect gift for the new baby or for your favorite toddler who wants a cuddle blankie. 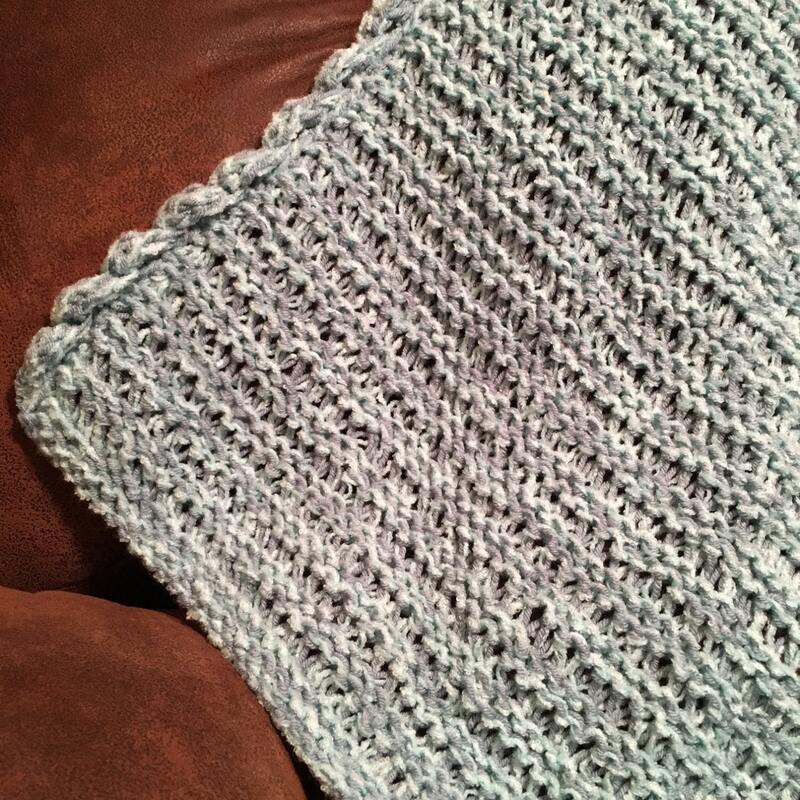 The pattern is easy to memorize, so it can be knit while watching tv or on a road trip. 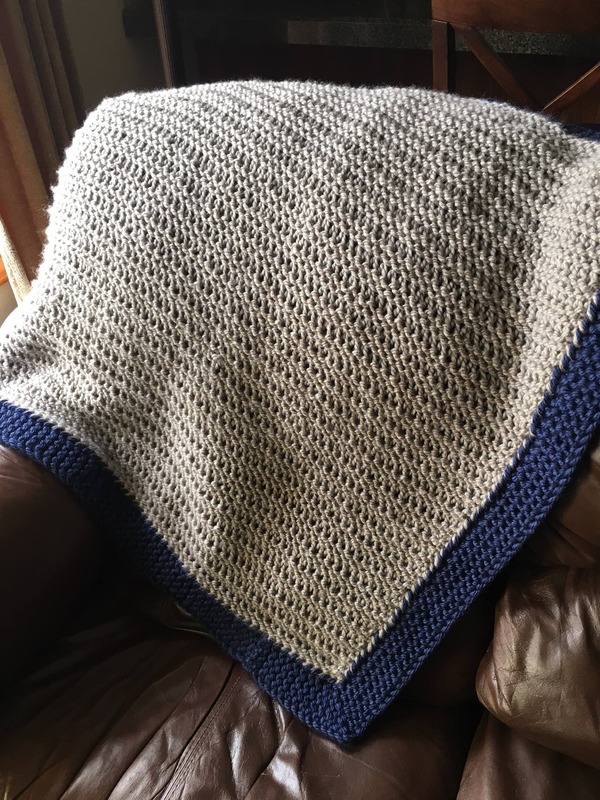 This blanket can be knit with a bulky #5 yarn or with a worsted weight #4 yarn (holding 2 strands as one). Bulky yarn requirements: 218 yards main color; 100 yards border (if doing Garter Ridge Edging). 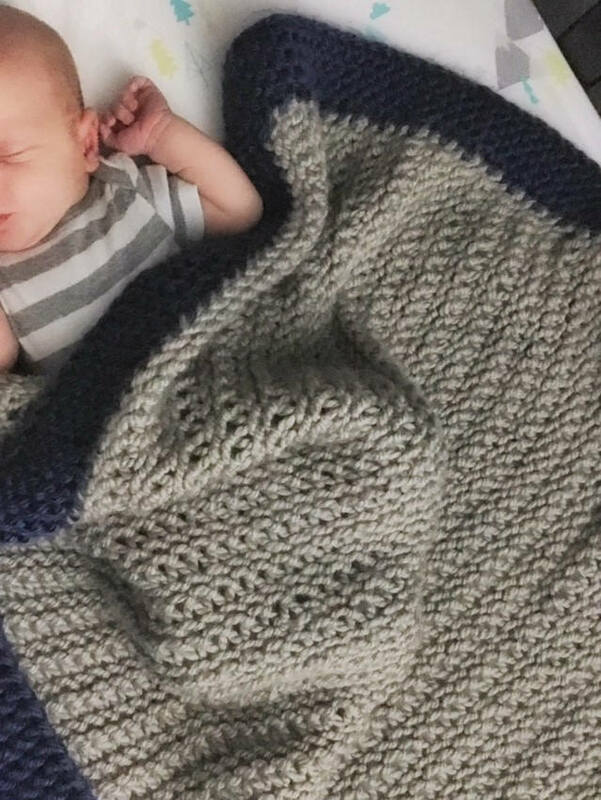 This stroller blanket is knit on any 3/4” gauge loom with a minimum of 68 pegs. 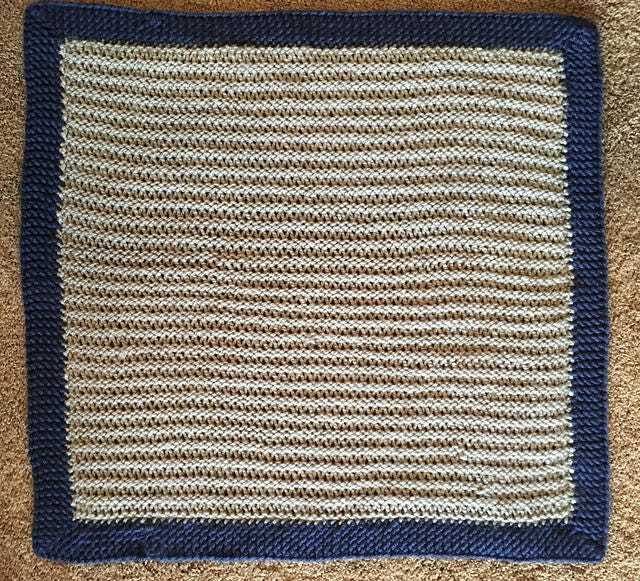 The pattern is suitable for an advanced beginner and includes a picture tutorial for the stitch pattern. 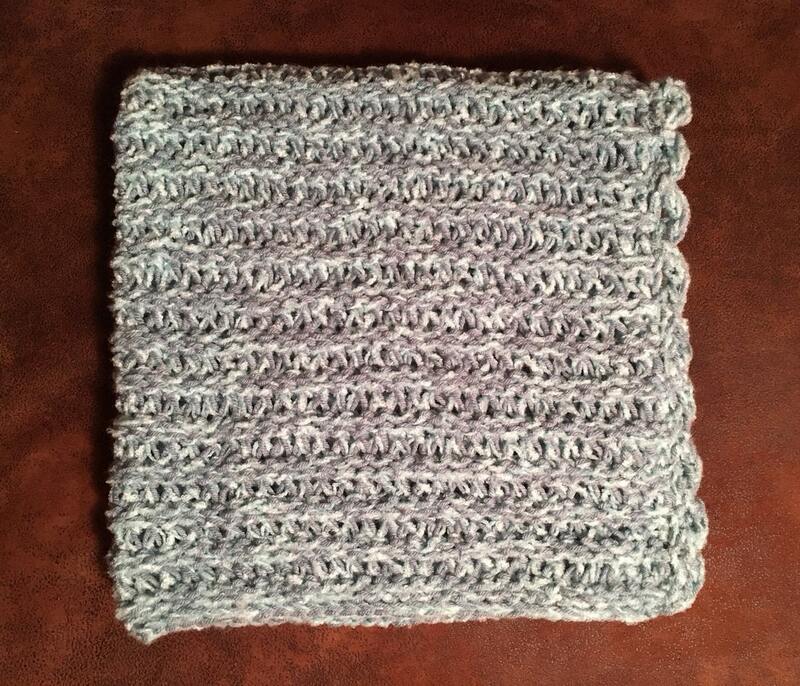 The pattern includes instructions for both the Ruffled Border or the Garter Ridge Edging. 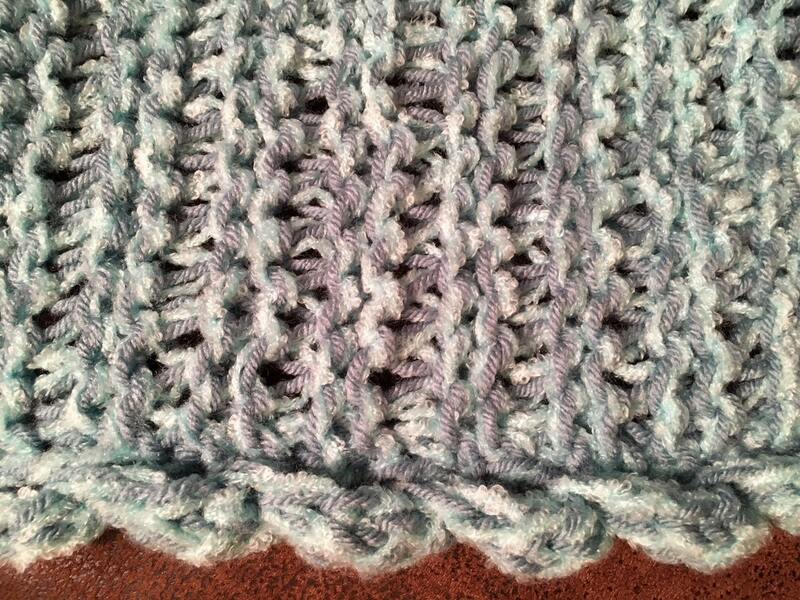 I also have a YouTube video tutorial on the Garter Ridge Edging technique.